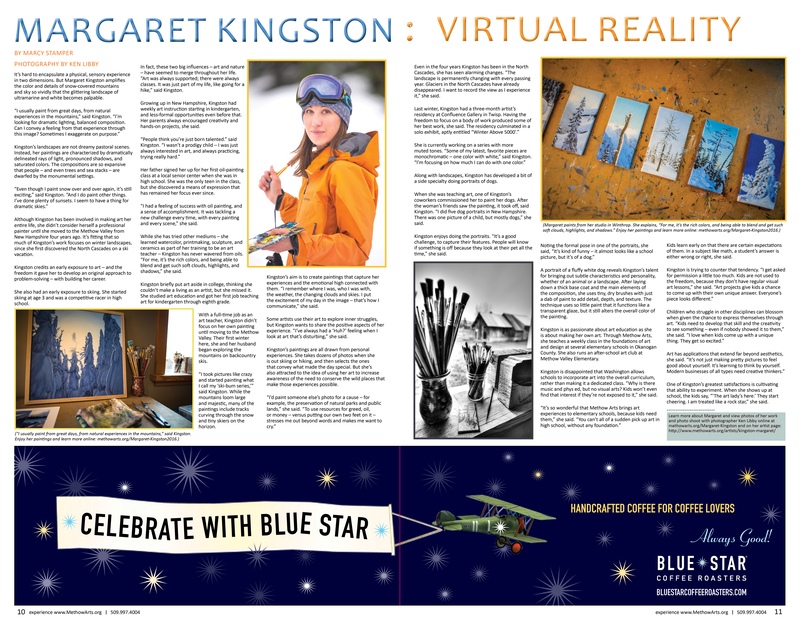 Our Winter ART Magazine features Margaret Kingston and showcases 20 full color pages of articles, events, ideas and photographs. It’s hard to encapsulate a physical, sensory experience in two dimensions. But Margaret Kingston amplifies the color and details of snow-covered mountains and sky so vividly that the glittering landscape of ultramarine and white becomes palpable. 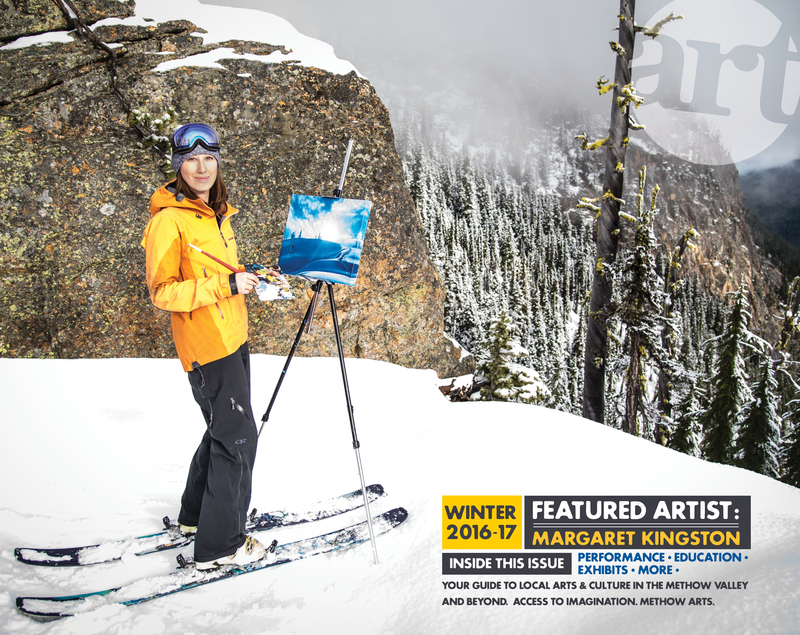 VIEW the ART Magazine center spread featuring Margaret – CLICK HERE.